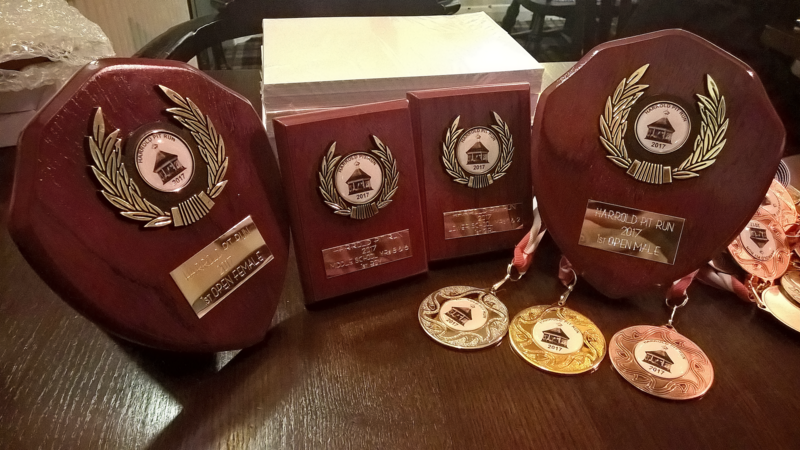 With four days to go here is a selection of trophies and medals that can be won on Saturday. A problem with creating teams has come up, you who have already registered will have received an email. It should be possible to run as part of a team if you which to, you can also let us know Friday or Saturday when you pick up your numbers. Teams need to consist of 3 people, no less and no more.